Hello everybody! Today I have a DIY for all of you. 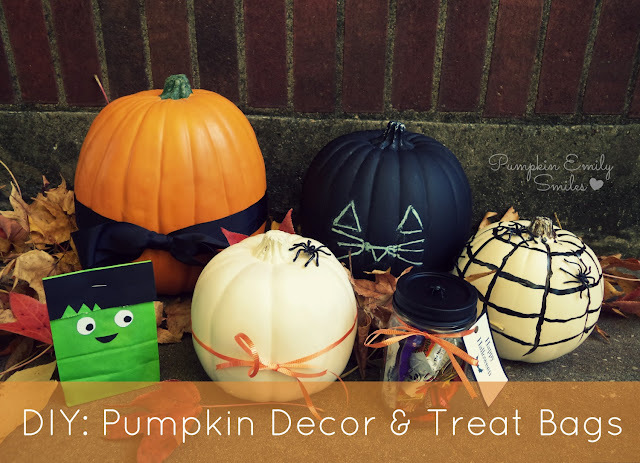 In this DIY you will learn how to make four pumpkins out of fake craft pumpkins and two treat bag ideas. The pumpkins have spiders or ribbon on them. 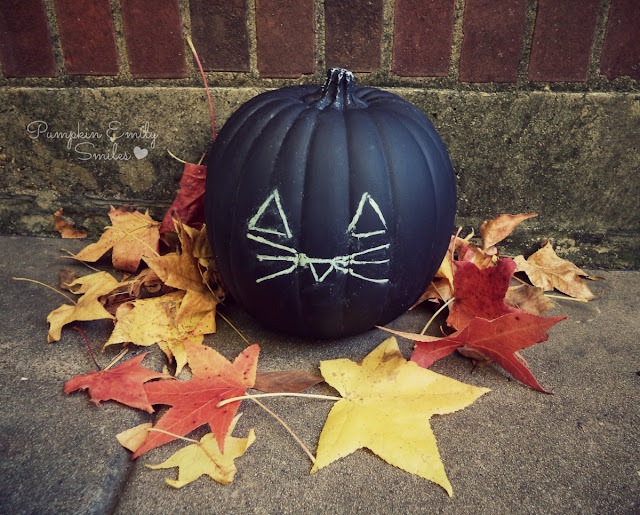 Even one pumpkin is a chalkboard pumpkin. 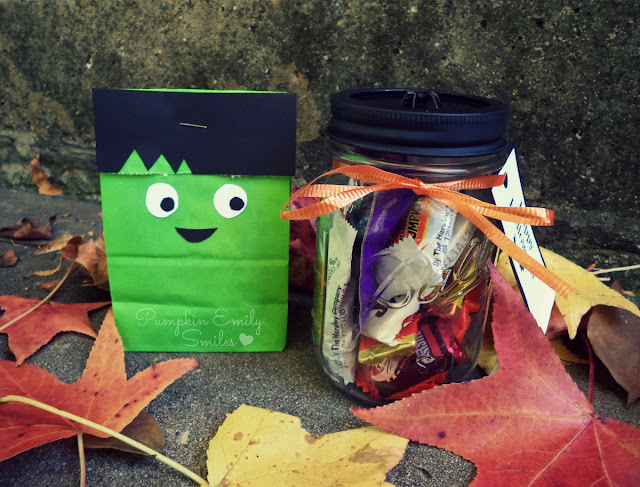 There is also a Frankenstein and a Ball Mason Jar for treat bags. Optional: You could either buy a white or orange pumpkin. I had a orange one and I spray painted it white. 1. Tie your ribbon on the pumpkin. 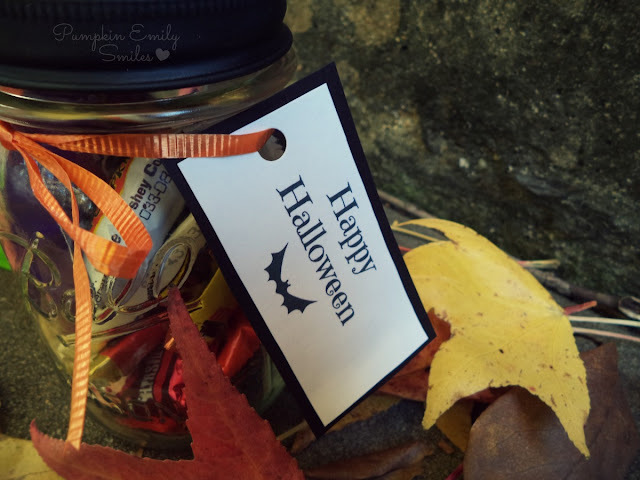 You can put tape on the pumpkin and on the ribbon to keep it from moving. 2. Glue your your spider on the pumpkin. 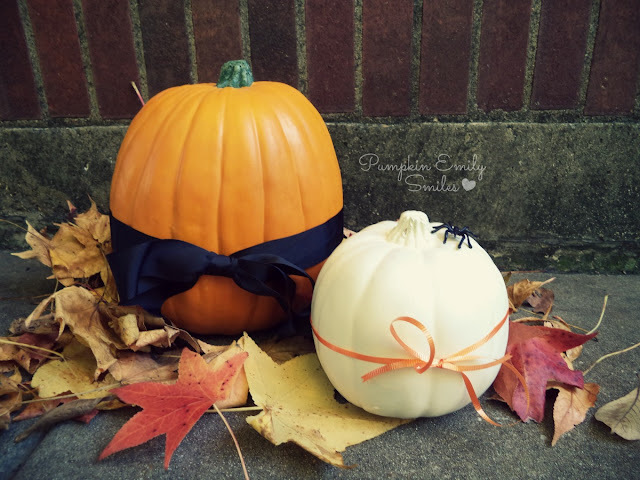 All you have to do this pumpkin is to tie a ribbon around it. For this pumpkin, just draw a animals face of your choice on the front of it. 1. 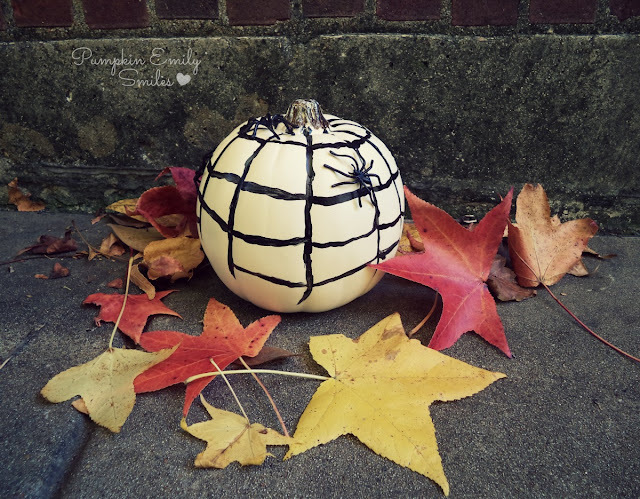 Paint a spider web on to the pumpkin. 2. Glue your to spider to the pumpkin. 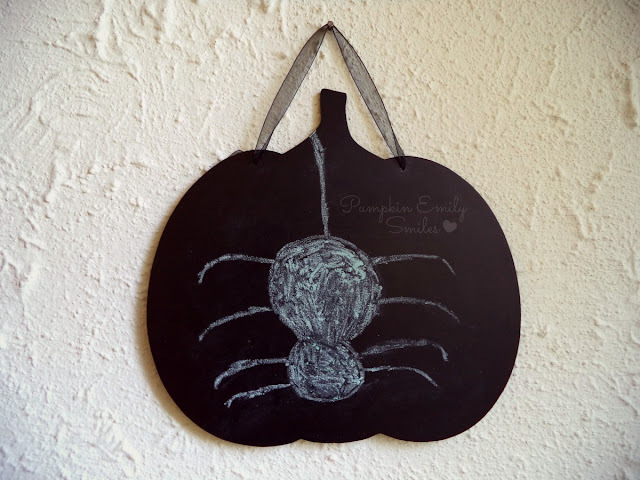 Tip: Tape on the spiders and on the pumpkin to keep them from moving. 1. Spay paint the Ball Jar's lid. 2. Made your tag out of the cardstock. 3. Tie on the ribbon along with your tag. 1. Cut out your pieces for the eyes, hair, and mouth. 2. Glue on the eyes, hair, and mouth. I saw this chalkboard pumpkin at Michaels. I think it's really cute and for the design I drew a spider. I made a video for this DIY. You can watch and follow it instead of reading the directions from above. What do you think of these DIY's?